To see photos I've taken at conventions, concerts, other events, and during my travels, please click the drop down menu under the "Linda's Artwork & Photos" tab at the top of this page. I will slowly be adding new photo tabs as I have time. I do not pretend to be a great artist. Most of this artwork is very amateur in nature, and much of it is, of course, related to Xena: Warrior Princess. I share it for those who care to look, not for profit, and so that I have it all saved somewhere. Enjoy. Also, I made some of the montages a very long time ago, and no longer remember who took some of the photographs. If you see your photograph here and want me to delete the related montage, or if you want me to include your name for credit, please use the e-mail link on the bottom of the home page to send me a message, and I'll be happy to comply. 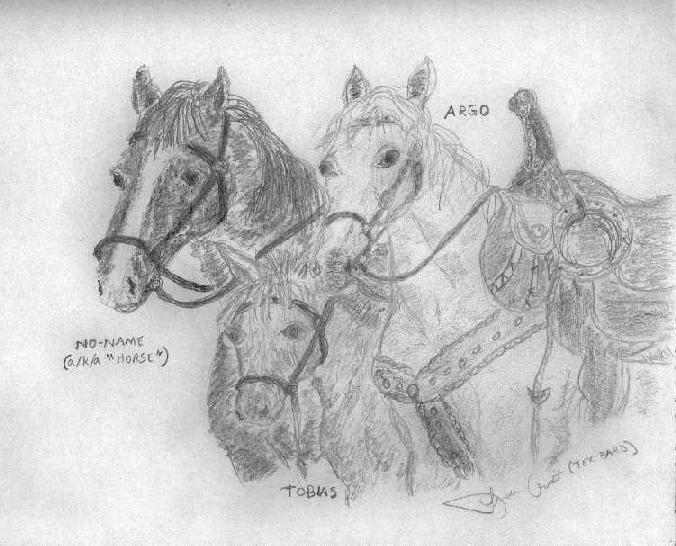 I drew this for an art contest on a website that was devoted to Argo, Xena's horse. I can't remember the name of the site, and it is likely not around anymore. I do recall it won first place in the Tobias category (or something like that). If I ever locate a copy of the award logo, I'll upload it. 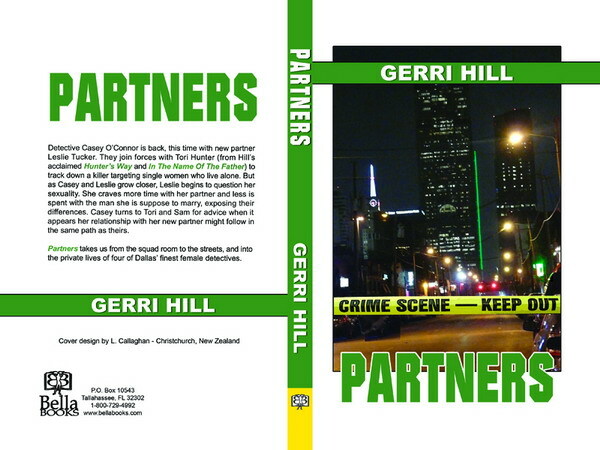 I took the photo on this cover for Gerri Hill's book, Partners. I spent much of an afternoon and evening snapping dozens of photos of of the Deep Ellum and Greenville Avenue areas of Dallas. This is a shot looking down Elm Street in Deep Ellum, toward the heart of downtown Dallas. The tall building in the center is the Bank of America Tower. Cover design is by Linda Callaghan, a wonderful Kiwi friend, and the book is published by Bella Books. You can buy the book here. I created these two images with the MySpace Buddypoke application (I no longer have a MySpace page). This was a Solstice card. The central image is an artist's rendering of the dwarf planet Xena and moon Gabrielle, which are somewhere beyond Pluto. The dwarf planet was later renamed "Eris," and the moon, "Dysnomia." Eris is the Greek goddess of chaos, strife and discord, while Dysnomia was the spirit of lawlessness and poor civil constitution. The discoverer, Mike Brown, who was later required to change the names per naming protocols, chose Dysnomia for the moon to maintain the tie to Xena via the term "lawlessness," and its reference to Lucy Lawless, who played Xena. 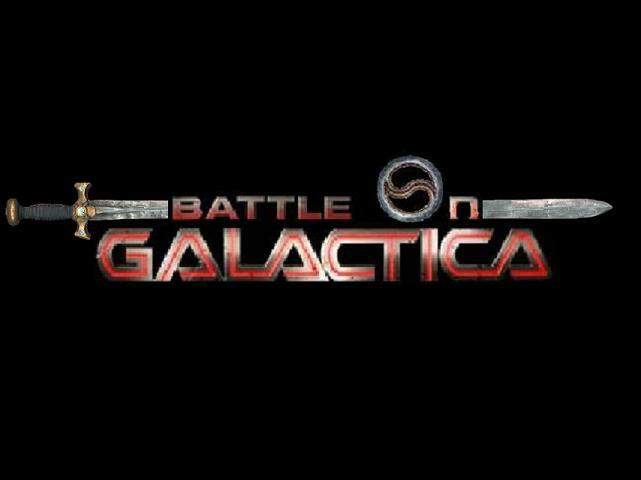 Mashup of Xena and Battlestar Galactica I created after the announcement that Lucy Lawless would have a recurring role on BSG. 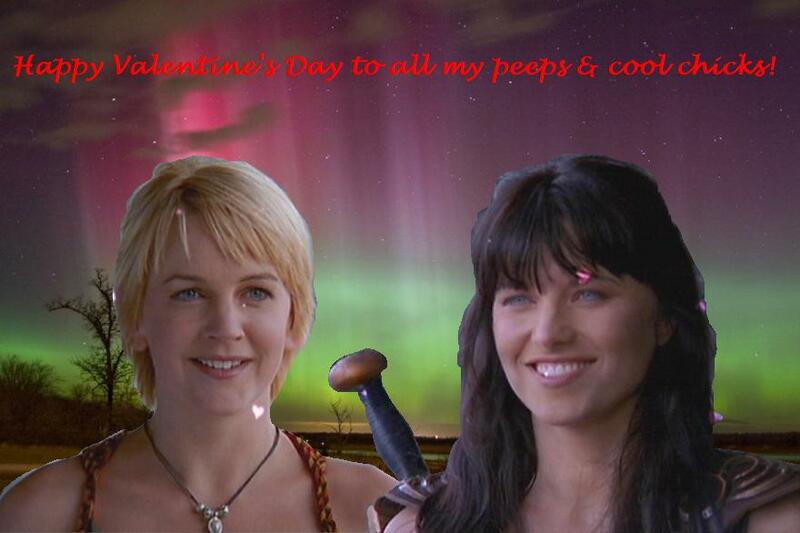 Various images of Lucy Lawless. I took the central image, from Lucy's concert at Buddy Guy's Legends in Chicago. 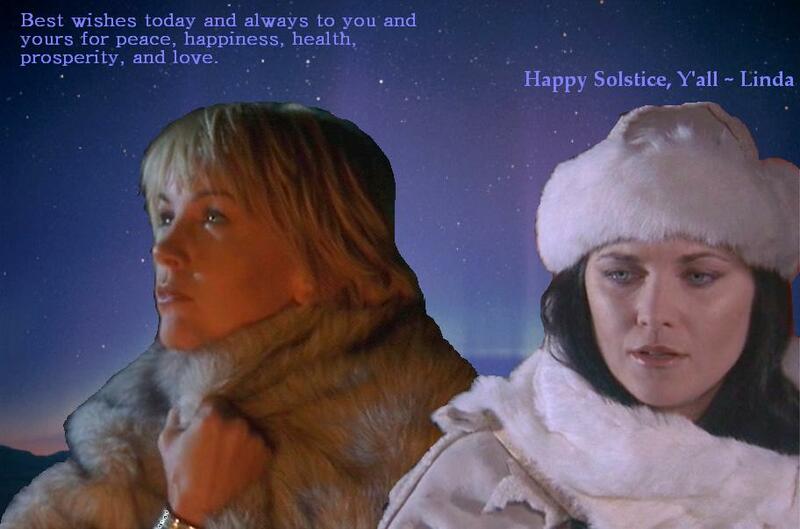 Just a large collection of images of Lucy Lawless and Renee O'Connor having fun together.